Bob Ferraro, Boulder City’s first elected mayor and one of the longest-continuously-serving local public officials, died Saturday morning of natural causes following a lengthy illness. He was 81. Ferraro was remembered for his joy of life, ever-present smile and love of helping the people of Boulder City. He was first appointed to the City Council in 1976 and served for 31 years, including six separate terms as mayor. Ferraro was re-elected to the council nine times and in 1999 became the city’s first elected mayor. Tobler said Ferraro seemed to know everyone, both in Boulder City and in the Las Vegas Valley, and used his many connections to help residents in the town he loved. Ferraro was instrumental in the city’s 1995 acquisition of 200 square miles of vacant federal land in the Eldorado Valley south and west of the Boulder City Airport. The purchase made Boulder City the largest city in the state by area. He also helped lead the effort that created the controlled growth ordinance, which required the city to obtain permission from voters to sell parcels of city-owned land larger than an acre. Woodbury said that during his time on the County Commission, Ferraro would ask for assistance in obtaining interlocal governmental grants from the county for the city so it could build ball fields, fishing ponds and other amenities at Veterans Memorial Park, which he played a key role in creating. “Now we need to name something for Bob, and something at that park would be appropriate,” Woodbury said. She said he was devoted to the people of Boulder City when he served as mayor, returning every call he received and helping everyone as best he could. In addition to his service to Boulder City, Ferraro spent 19 years on the Clark County District Board of Health, serving as chairman from 1995 to 1997, and was chairman of the Southern Nevada Strategic Planning Authority in 1998. 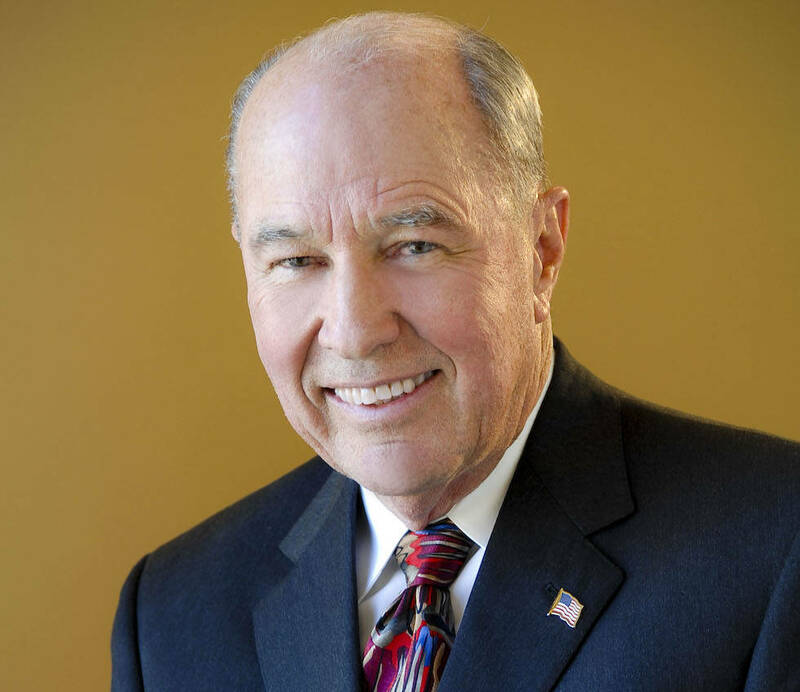 He also served on the board of numerous organizations in Southern Nevada, including the Las Vegas Convention and Visitors Authority and the Nevada Development Authority. He was named Nevada public official of the year in 1986 and community leader of the year in 2001. Ferraro was an active supporter of Boulder City Hospital, serving on its foundation board for 12 years. In 2013, he was presented with the Heart of the Community award. They were married for 22 years. Ferraro was born July 30, 1935, in Paradise Valley, 40 miles north of Winnemucca. He graduated from Humboldt County High School in 1953 and obtained a bachelor’s degree in agriculture from the University of Nevada, Reno in 1957. Two years later, he earned his master’s degree in agronomy and range management. In 1959, he began working as an assistant Churchill County extension agent for UNR’s College of Agriculture in Fallon. Three years later, he was promoted to become Pershing County’s agent in Lovelock. In 1966, with his first wife, Pat, and their three young children, Ferraro moved to Lahore, West Pakistan, working two years for the U.S. Agency for International Development as an agricultural adviser to the Pakistani government. Three years later, he moved to Boulder City to work as a chemical engineer for Pacific Engineering and Production Co. in Henderson. He worked for the company for 31 years, traveling the world and retiring in 2000. In 2008, he joined his son’s public relations and public affairs firm, the Ferraro Group, as a consultant and adviser. In addition to his public service, Ferraro was a world-renowned bottle collector, co-authoring two books on the subject, as well as a collector of rare Nevada artifacts. “His passion was bottle collecting,” Burnett-Ferraro said. A portion of his collection remains in their Boulder City home, including several glass bottles colored purple by the sun, and a large selection of seltzer bottles. He was elected president of the Southern Nevada Bottle Collectors Club in 1972 as well as chairman of the western region of the Federation of Historical Bottle Clubs. In 2002, he was inducted into the federation’s hall of fame. Ferraro was a past president of the Boulder City Rotary Club and was named Rotarian of the year in 1980. He also was an expert furniture refinisher and learned how to fix practically everything from his childhood on the ranch, his wife said. Burnett-Ferraro said her husband was always concerned about the welfare of those around him, and he always put his needs and feelings behind those of others. Ferraro is survived by his wife, Connie; daughters Dr. Christi Matteoni (Eric Osgood), of Reno, and Tacey Ferraro of Fort Worth, Texas; son Greg Ferraro (Carolyn), of Reno; stepdaughter Connie Johnson; sister Jean Elges, of Winnemucca; brother Stephen Ferraro, of Paradise Valley; and eight grandchildren: Tommy Ferraro, Tisha Ferraro, Joe Ferraro, John Douglass, Stephen Douglass, Dominic Matteoni, Alison Matteoni and Anthony Matteoni. He was preceded in death by his parents, Ella and John Ferraro. A celebration of Ferraro’s life will be held at 5:30 p.m. May 19 in the pavilion at Boulder Creek Golf Club. After a private family gathering, his ashes will be buried in Boulder City and Paradise Valley, two of his favorite places in the state. In lieu of flowers, contributions in his memory can be made to the Boulder Dam Hotel, P.O. Box 61530, Boulder City, NV 89006, or to the University of Nevada, Reno Foundation at Morrill Hall, Reno, NV 89557. Hali Bernstein Saylor is editor of the Boulder City Review. She can be reached at hsaylor@bouldercityreview.com or at 702-586-9523. Follow @HalisComment on Twitter.